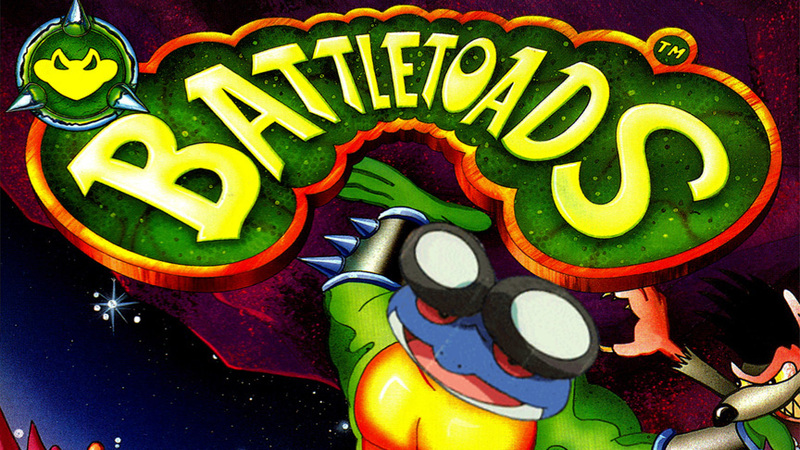 Seismitoad-EX is almost as frustrating as the notoriously difficult game Battletoads. Seismitoad-EX has been the topic of debate on various social media groups and between friends on tournament lunch breaks. Some believe that the card is absolutely too dominant and deserves to be banned, while others believe that the card is fine and that there are plenty of ways to fight back against Item Lock. Like most topics of this sort, I believe the truth is somewhere in the middle. Firstly, I don’t believe Seismitoad-EX is too good of a card, or that the decks that house it are too dominant for tournament play. 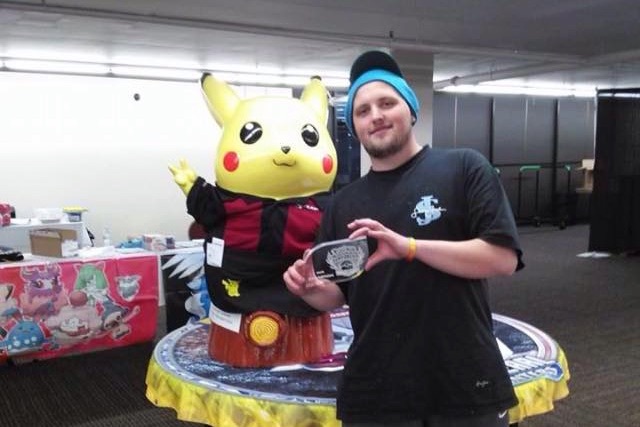 In the seven years I’ve played Pokémon, I’ve witnessed truly overpowered decks — like Gardevoir/Gallade and LuxChomp — and even then, I always felt as if the decks were not as oppressive as some would lead you to believe, though I do concede that they were too powerful and led to a lot of unenjoyable tournament experiences. This is exactly the problem with Seismitoad. The card is not too good, it doesn’t win every tournament, and it doesn’t even fill the majority of Top 8 slots in tournaments, but what it does is create very monotonous and frustrating game states. Quaking Punch disallows you from playing with a high percentage of cards in your deck. Not only that, but the cards that combine well with Seismitoad are often based on coin flips, such as Super Scoop Up, Hypnotoxic Laser, and Crushing Hammer, which can lead to an unenjoyable experience on the other side of the table. Lastly, cards like N, Scoop Up Cyclone, and Enhanced Hammer also work to prevent your opponent from executing their gameplan, which just adds on to the complaints and feelings of frustration. None of these cards by themselves are overpowered, but when their powers combine they form an irritating handful of decks to play against. Additionally, Seismitoad’s specific brand of Item Lock is one of the most powerful the game has ever seen. Vileplume UD was a Stage 2 that prevented both you and your opponent from playing Item cards, meaning that it required significant setup and deck-building costs. Even Gothitelle BLW and Trevenant XY need to be Active in order for their Abilities to work. All Seismitoad-EX has to do is attack — with an attack that can be used for only one Energy card, no less! Dialga G’s “Deafen” attack was designed similarly, but the damage output was so low and Pokémon-based draw was so prevalent that you couldn’t win a game by Deafening, you eventually had to be proactive. With a Seismitoad, it is typically correct to sit back with a Muscle Band attached, Quaking Punching and digging through your deck for Lasers and Virbanks for the entirety of the game. Another huge issue in my mind is the way that the Seismitoad decks play. Not only do they blank a significant percentage of cards in your hand while restricting your options, but they often take an inordinate amount of time to actually win the match. The Seismitoad-EX/Slurpuff deck is a perfect example of this — it plans to Quaking Punch for as many turns as necessary, all the while gaining card advantage with Slurpuff’s Tasting Ability and negating any possibility of decking out with the combination of VS Seeker and Lysandre’s Trump Card. In conclusion, Seismitoad is not inherently too strong to be in Standard, but what it does leads to more anger and frustration than any other card in recent memory. It’s possible that this is enough reason to never print another card like this again, but personally I would rather Pokémon push interesting gameplay mechanics like Item Lock and sometimes print something a little too powerful than to never take risks at all. Richard fresh off his 1st place finish. I recently conducted this brief interview with Richard Reynolds, a player out of Spokane, WA, who took down Oregon States this past weekend. If you’d like to view any of his matches, there are a handful on YouTube. Here is the complete Virizion-EX/Genesect-EX deck list he played at the event. I think if I were to play Virizion I might take a more streamlined approach, cutting things like Tropius and Dedenne for a fourth VS Seeker and Energy Switch, but I generally like Richard’s list for his expected metagame, and it’s difficult to argue with his results. Enjoy the interview! Kenny: Tell us a little bit about yourself! Where do you come from, and what are your accomplishments? Richard: My name is Richard R Reynolds. Born in Seattle, WA and raised in Spokane, WA. Some of my accomplishments are earning an invitation to the 2015 World Championship and winning Oregon States. I am also in a competitive Halo league and earn money by playing in team tournaments. Kenny: Nice. You decided to play Virizion/Genesect for this tournament — can you tell me why you went with that deck? Did you ever consider playing anything else? Richard: I really, really like the deck. I can play offensive and defensive very easily. It is powerful if played right and I thought my best chance were with it because I tested the most with it. I considered Yveltal/Seismitoad but I tend to do poorly whenever I change my mind right before I tournament, and when I stick with my gut I perform well. Kenny: How did you end up in the Swiss? Was the metagame different than you predicted? Richard: Not really. I expected a lot of Genesect and Seismitoad because Genesect counters Seismitoad well and Seismitoad has been a presence at a lot of tournaments. I ended up 6-2 in the Swiss, barely beating a Landorus-EX/Crobat deck in the last round — a terrible matchup but the games were fun and the people were awesome. Kenny: Is there anything you would change about your list if you could go back and do the tournament again? Richard: I really wanted either a Max Potion or a Pokémon Center Lady. They’re a big help versus decks with Crobat. Kenny: What are your plans for the rest of the season? With your invite locked up, will you be attending Seattle Regionals or US Nationals? Richard: I will be at Regionals. I want to be at Nationals. I am going to test every day so that I’m ready. Kenny: What advice would you give to players trying to earn their first Worlds invitation? Richard: When you go to these tournaments you should go first and foreost to have fun. It is a game and yes, we pay money for entry fees and cards, but it is really about making new friends and having fun. Kenny: Good attitude! Lastly, what is your favorite Pokémon, favorite card, and what card are you most looking forward to in the next set? Richard: Lugia, Lugia-EX, and I would say Shaymin-EX. Kenny: Anyone you want to give a shoutout to? Richard: Kyle Thomas. I used his deck list, only changing two cards from it (I took out a Pokémon Center Lady and a Professor’s Letter). Thanks bud! I hope you all enjoyed the article today. I’ll be writing for 6P every Wednesday, so be sure to let me know in the comments what you like, didn’t like, and what you’d like to read about in the future!